Your best bet for staying connected with Best Home Healthcare Network? Keep up with our blog that includes industry and company news, health updates and more. Even if you don’t own your home, you should know some basics when it comes to repairs and protecting yourself from a frozen nightmare. When the ground freezes, your pipes are at risk. An estimated 16 million American adults—almost 7% of the population—had at least one major depressive episode in the past year. People of all ages, racial, ethnic and socioeconomic backgrounds experience depression, but it does affect some groups more than others. The #1 risk factor for developing breast cancer is simply being a woman. In the US, there are about 190,000 new cases of invasive breast cancer and 60,000 cases of non-invasive breast cancer per year. And 99% of those cases are women. What Healthcare teams can learn from Amazon? 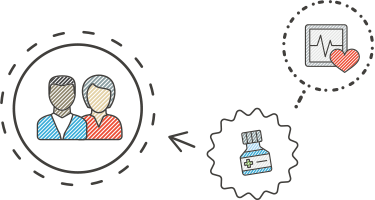 What can healthcare teams learn from Amazon? How to run an effective meeting. Amazon CEO Jeff Bezos starts his meetings with a 6-page memo from the meeting leader to all attendees, plus 30 minutes of forced study hall. Put these together and you have a productive and effective meeting. http://bhhcare.com/wp-content/uploads/2017/08/BHHN_Logo.png 0 0 Admin http://bhhcare.com/wp-content/uploads/2017/08/BHHN_Logo.png Admin2017-08-08 17:41:132017-09-01 14:53:43What Healthcare teams can learn from Amazon? Get better patient independence, reduced hospitalizations and readmissions, and better patient outcomes. Our business model is to treat each patient the same way we would treat our parents, siblings or children. We accomplish this through state-of-the-art technology, quality nursing and therapy, good old-fashioned care and compassion.